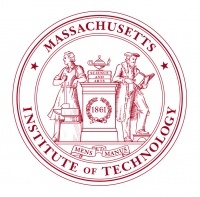 Massachusetts Institute of Technology (MIT) is a private, coeducational, research university located in Cambridge, Massachusetts, United States. MIT has five schools and one college, containing a total of 32 academic departments, with a strong emphasis on scientific and technological research. MIT is one of two private land-grant universities and is also a sea grant and space grant university. NOTE: CosmoLearning is not affiliated or endorsed by Massachusetts Institute of Technology. This page is only intended to credit this content provider for their educational content being included on the CosmoLearning site.